This obscure language is dominating the prospects of the government's corporate tax legislation and will decide the fate of billions in tax relief. 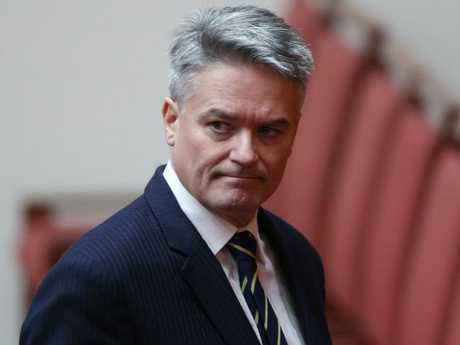 Only One Nation founder Senator Pauline Hanson speaks it fluently, although the government's chief negotiator with the Senate crossbench, Finance Minister Mathias Cormann - who already speaks French, German, Flemish and English - is undergoing a crash course. It's not an easy tongue, because words with longstanding meanings in English can have entirely contrary significance in Hanson-ese. For example, this was Senator Hanson today on standing firm when it came to One Nation policy on business taxes. "I will change my mind as many times as I want to ensure that I come up with the right decision," she told the Nine Network. But this was Senator Hanson last night in the Senate, denying a change of mind. "I haven't flip-flopped. I said no originally, then I said yes, then I have said no and I have stuck to it," she told senators, baffling many. Also today, she said she has been holding talks with Senator Cormann and might not exactly stick to her "no" for much longer. "It's an important decision for the country and I understand that and I'm trying to listen to all sides about this, but at this stage, Minister Cormann has not got me over the line," she told reporters. This could only make sense to a practised speaker of Hanson-ese following her non-flip-flopping history. As Senator Hanson said, she originally opposed the government's corporate tax cuts package. "My decision not to support the legislation flows from asking what the companies do with the additional cash and who will benefit the most," she said in a statement on Facebook in February. "I listened to the CEOs of our most successful companies, including Orica's Alberto Calderon, who says the tax cuts alone will not be enough to encourage further private investment. "I listened to Australians who own shares in these companies. I listened to everyone who gave me their opinion directly or indirectly and it is clear that expert opinion is divided on the benefits of joining the global race to the bottom for company tax rates." Well that seemed a pretty stout rejection, although things changed about a month later. "I'm actually seeing what is happening in America," Senator Hanson told Sky News, revealing she was back on the tax cut cart. "In America … a lot of the companies now are actually starting to employ more people." And she said on 2GB: "I believe that if we don't start looking after Australian business and give them some relief … they are going to fold, or they're going to leave and go offshore." Great gusts of relief were felt around the government offices, but there could only be disappointment ahead, as anyone who spoke Hanson-ese could have foretold. On May 22, Senator Hanson told The Australian newspaper it was all off. She was breaking her word to Senator Cormann because he had broken a promise he hadn't given. And she said the cuts were too far into the future: "The whole fact is, if they're ­serious about this, then start doing something about it now … This government is talking about it six or eight years down the track. Well, that's not good enough." So this is the history of Senator Hanson not engaging in backflips - or "vibble-vobbles" as Senator Cormann calls them in other circumstances. Also of interest is the list of issues she has raised to justify her changes in position. They range from the absence in the May Budget of a $60 million pilot scheme to boost apprenticeships, which the government had never said would be there. She has demanded the government get tougher on multinationals she says are not paying the right tax. But also she has said a tax cut would encourage greater investment and more jobs. But has drawn a line: she doesn't think the tax relief would increase wages. Senator Hanson has also opposed the cuts for political reasons: "The people in general don't want it. It has not been well ­received. The government has not been able to sell the package to the people and they haven't cut through." 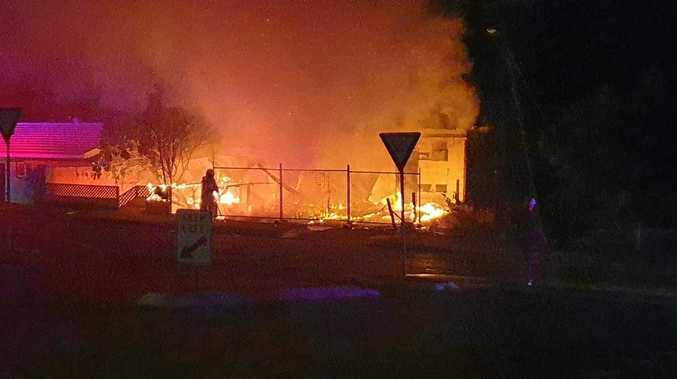 An opinion poll in the by-election seat of Longman, where One Nation hopes to decide the winner if it can't win itself, showed voters were unimpressed with the proposed cuts, and Senator Hanson followed obediently. The list also includes were dissatisfaction with government housing policy, and a report she also wants a ban on offshore call centres. 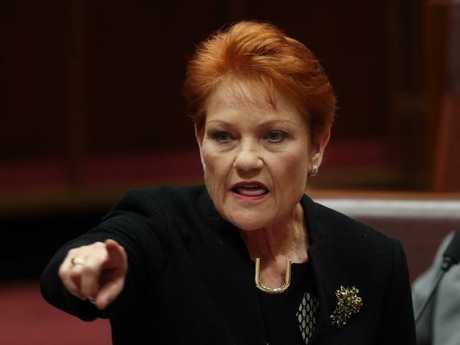 It is difficult to keep track of the issues swirling around One Nation's positions, and the only common thread appears to be attempts by Senator Hanson to grab the spotlight and present herself as a crucial factor in Australia's fate. Which only makes sense in Hanson-ese.